My Birchbox arrived today! It is always an exciting time, and I loved my preview this month! 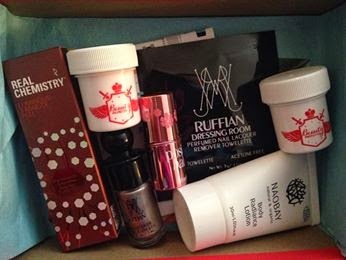 You can always find your preview before your box arrives on the Birchbox website! What was in our box this month? Links listed below will lead you to the location where we found the value. Total value: $30.48 This month was an AMAZING value! The products I received were very large for the most part, with 1 full sized product. I even got to choose the color of polish!! Birchbox is only $10 a month. The best part is you can review products this month for points, so this month I can review 6 product for 60 points. 100 points is $10, so that is worth $6 in the store!